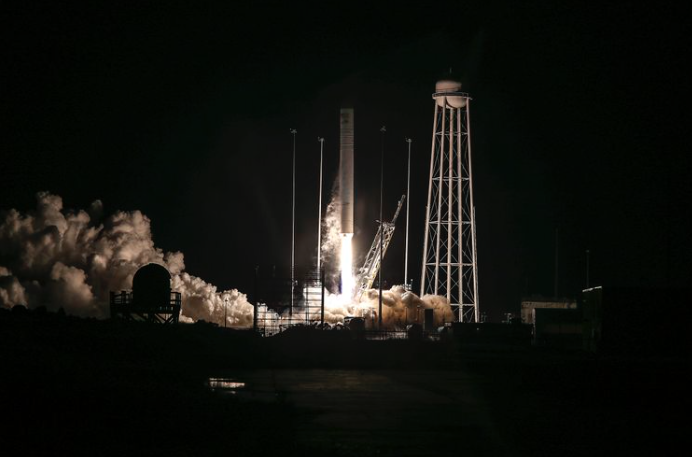 Northrop Grumman Corporation (NYSE: NOC) announced it successfully launched its Antares™ rocket carrying the “S.S. John Young” Cygnus™ spacecraft at 4:01 a.m. EST from the Mid-Atlantic Regional Spaceport Pad 0A on Wallops Island, Virginia, at NASA’s Wallops Flight Facility. The launch marks Northrop Grumman’s 10th cargo mission carrying vital supplies to the astronauts aboard the International Space Station for NASA. As another example of Cygnus’ expanded capabilities, the spacecraft is prepared to support the Slingshot CubeSat Deployer System, a flexible platform that can fly hosted payloads and CubeSats. The mission is the first flight for the Slingshot system, which is scheduled to be installed onto the Cygnus spacecraft by NASA astronauts before the spacecraft departs the orbiting laboratory. Upon completion of its secondary missions, Cygnus will perform a safe, destructive reentry into Earth’s a™osphere over the Pacific Ocean. Details about the NG-10 mission can be viewed here.